In case you missed my recent post, my muffin top is taking on a life of its own recently. I need to do something about it. The problem is it’s way easier to eat junk food and sit on the couch as opposed to eating healthy and working out BUT I am going to work on it! 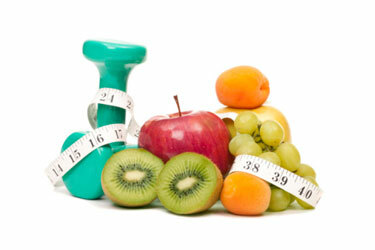 Convenient with timing, March is National Nutrition month. I recently found out tips from Stop and Shop’s full time nutritionist Julie Menounos on ways to get the most out of my grocery trip. Below I’ve included the tips and if I personally follow them. Spoiler alert: I have a lot of work left to do! Don’t shop hungry. Be sure to have a light meal or snack with fiber and protein before shopping to avoid impulse buys. This is a total no brainer yet I don’t always do it. If I do shop hungry I always end up leaving with a muffin from the bakery. They are so gosh darn good (and to blame for my muffin top)! Make a grocery list. Plan out your week of meals, snacks and beverages and those you need to restock. Organize the list by the departments of the grocery store to save you time shopping. I do make a list (on my phone) but I don’t organize it by department. However, when shopping I always think how much easier it would be if I had so then I wouldn’t have to backtrack through the store. I also am not a good meal planner for the week but someday I’ll be better at it (my husband hopes!). Shop the perimeter of the store. This is where the freshest, most natural food lies. So fill most of your cart with fruits, vegetables, lean proteins and dairy items then venture down the center aisles to stock up on staple goods like whole grains, beans, vegetable-based soups, canned tuna and wild salmon. I’m definitely a sucker for the middle. I could live in the cookie and cracker aisle. Pay attention to symbols to help you shop. For example, at Stop & Shop, you can look for the Healthy Ideas® symbol next to the price to find products that are better for you and your family. Stop and Shop is my go to shopping store so I do actually see these stickers and give myself a high five when I pick up one of these items. Read the ingredient list. If you are not sure how to accurately interpret the Nutrition Facts label, the ingredients list can provide you with enough information to make a healthy decision. Ingredients are listed in order of weight from high to low. In general, the less ingredients the better. If sugar is listed in the first or second ingredient of your breakfast cereal, look to swap it. When time allows I do check out the ingredient list. One of my struggles is getting the kids to eat things that are actually good for them. Again, we’re a work in progress family! Focus on filling half your plate with fruit and non-starchy vegetables. Fill the other half with whole grains (bread, rice, pasta and starchy vegetables like corn, peas, potatoes) and lean protein (chicken, turkey, beef seafood, beans). This one is also on the “working on it” list! Don’t forget a serving of dairy (milk, yogurt or cheese) either incorporated into the meal, on the side or as dessert! This one is easy peasy for us – we mega heart milk! Think about adding fruits and veggies to your families favorite foods. Add strawberries in cereal, blueberries in yogurt, sliced pears in a grill cheese sandwich, shredded carrots and zucchini to pasta sauce and broccoli on pizza. My favorite way to sneak them in is in smoothies – yum! So there you have it – some expert tips from Stop and Shop with some Dollops facts! For people (like me) trying to continue down the road of healthy living I think the key is baby steps and consistency. It’s an uphill battle, people! Memories from my Trip to Ireland! Cute Bunny Craft with Cotton Balls!